Discussing the communication of scientific and technical information with the next generation, and influencing their thinking about it, is something I’d like to do for all students. As Director of the science communication company Scientell, I see it as vital that students have communication as part of their skill set. So, when I was asked to be a mentor by the University of Melbourne, where I completed a PhD two decades ago, I jumped at the chance. But what surprised me was how much I learned. Interactions with my mentee, Adam, were certainly two-way conversations. While I hope that he benefited from my mentor-like thoughts such as explanations of my career path, the opportunities for jobs in my area, and advice on specifics about science communication activities, I also benefited in talking with Adam about his plans – I was able to reflect on how his plans related to my own. By going through a process of articulating my experiences and advice, I could reflect on my career, re-evaluate my own plans, and think about what my next steps are. So I was mentoring myself just as much as Adam. The program was a great way to support the next generation, and learn something in the process. It was also a good networking opportunity to meet other mentors, and reconnect with the university. Also, the program enabled me to interact with some of the brightest young minds in the country, so you never know, I may be knocking on Adam’s door one day asking him for advice! 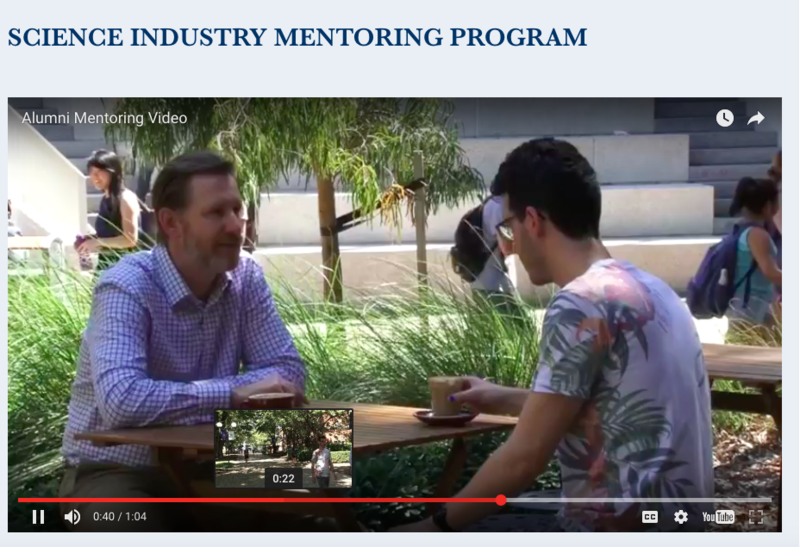 For more on mentoring at Melbourne, see https://mentoring.unimelb.edu.au/p/p9/about.